Davies & Associates have a specialist E-2 visa team based in Midtown Manhattan focused on meeting the E-2 visa needs of our business clients. Our E-2 visa team includes immigration lawyers, tax lawyers, corporate lawyers and a specialized immigration business plan team. 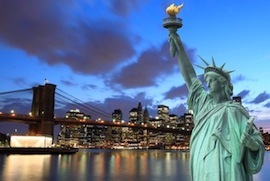 When needed our New York E2 visa team are able to call on our lawyers both in other US cities and around-the-world for the latest advice on local consular procedures and other issues. Many clients select an E-2 visa lawyer only to have their cases denied. Choosing the right lawyer is critical to your success with your E-2 visa application. Click here to read about some key questions when choosing an E-2 visa immigration lawyer in New York. How Many E-2 Visas does Davies & Associates Handle in New York? Every day our New York team of E-2 visa lawyers receives inquiries from multiple E-2 visa applicants around-the-world. We file E-2 visa applications very frequently and receive multiple new E-2 visa inquiries every week of the year. We are one of the most active E-2 visa practices in both New York and the United States. If Davies & Associates Have Never had an E-2 visa Case they have Filed Denied then How Can they Assist with a Denied Case? While our firm has never had a case we have prepared denied1 we are frequently called on to assist clients who have filed their E-2 visa using another law firm and have been denied. With the exception of one case filed by another law firm in Singapore in August 2013 that our firm was unable to successfully appeal we have been successful in getting E-2 visa applications that were initially denied when filed using another law firm approved. Why are so many E-2 visas Denied? In our opinion E-2 visa applications demand a very highly specialized and experienced team of lawyers and business professionals. If you ask a lawyer how many E2 visa petitions they typically file each week of the year you will find that many firms simply to not have deep experience in this area. Also asking a lawyer whether they EXCLUSIVELY handle E-2 or investor visa matters can be a highly illuminating experience. Who Does Davies & Associates’ New York E-2 Practice Represent? Our E-2 visa team is trusted by businesses of every size ranging from “Fortune 100” global corporations to individual entrepreneurs launching their first business in the United States. 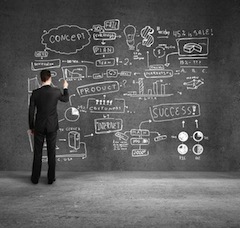 Is a Business Plan Really Important and How Can our New York E-2 Team Help? The business plan is your chance to explain your business and how it meets the requirements of the law. It is critical that the law firm representing you thoroughly understand your business and are integral in the preparation of the business plan. We often travel to our clients’ business sites simply to enhance our understanding of their operations. Davies & Associates has a dedicated E-2 visa business plan team experienced with preparing thousands of E-2 visa business plans. Why is our Global Reach Important to Clients of our New York office? While it is possible to file for “change of status” from within the United States E-2 visa applications are always filed in local consulates. Unfortunately the requirements for E-2 visa applications vary at every US consulate. Fortunately, our team has a comprehensive global network. Through our global network we maintain up-to-date information on the latest procedures and regulations at US consulates around-the-world. Why does Davies & Associates have an Industry Leading E-2 Visa Success Rate? Typically immigration lawyers are trained in small firms and often have no business experience. Often immigration lawyers “grow-up” filing family-based immigration petitions. Davies & Associates lawyers graduated from the very top US law schools and most were initially trained as business lawyers in the 10 largest law firms in the world. Many of our lawyers also hold MBA degrees from the world’s top business schools, including the Wharton School of Business. No other immigration firm we are aware of offers this level of experience and training. We believe the outstanding quality of our lawyers is directly responsible for our industry-leading E-2 visa approval rate. Where do Davies & Associates E-2 Visa Clients come from? Our clients come from every continent, except Antarctica. We frequently file cases for clients from across Europe, Australia, the Middle East (including Egypt), South America and Asia. What is the State Department Reciprocity Problem? Consular officers are guided by nationality-based US State Department guidelines as to the maximum validity of each E-2 visa they issue. The range of the maximum validity is from three (3) to sixty (60) months. Davies & Associates are relied-on by other US immigration law firms for our guidance as to how to deal with E-2 visa issuance for nationalities where the guidelines lead consular officers to issue an E-2 visa with a very limited period of validity. Why Do Davies & Associates have Lawyers admitted in Multiple international Jurisdictions on their E-2 Visa team? For many nationalities the ability to obtain a US visa depends on issues of foreign law. For example, E-2 visa applicants are required to prove that their funds were lawfully earned in a foreign country. Our firm includes non-US lawyers who assist clients with making lawful transfers of funds and obtaining written opinions on issues of foreign law that are necessary for an E-2 visa application. Every week of the year Davies & Associates lawyers provide clients with advice as to how to lawfully transmit funds from non-US jurisdictions to finance their US businesses. Why do Davies & Associates open Escrow Accounts for E-2 Visa Clients? The law requires that your funds be “irrevocably” invested in the US business. Unfortunately as funds in a business checking account can easily be withdrawn they do not qualify as being “irrevocably invested” in the US business. For a new or smaller business it can be challenging to irrevocably invest the sums required. (2) refunded to the client in the event that their E-2 visa application is denied. By holder the E-2 visa funds in this was they are deemed to be “irrevocably” invested in the business and can be used for any legitimate business expense. * At the current time our firm does not have a location in Singapore but our E-2 visa lawyers frequently travel to Singapore and are experienced in filing E-2 visa applications in the US consulate in Singapore.